Select a tab to view an opportunity. Ecology Action is a non-profit organization focused on sustainable agriculture research and education. 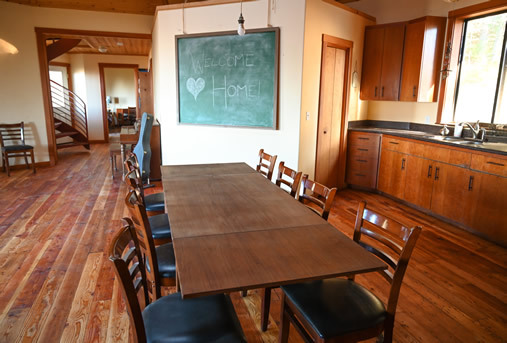 We’re seeking to interview stable people eager to make a long-term commitment (at least 5 years) to work as a long-term, full-time, year-round Biointensive Farmer starting in 2019 at our headquarters at The Jeavons Center (TJC) site near the town of Willits. Due to legal and logistical considerations, we can only accept applications from US citizens or US permanent residents for these positions. Garden: daily gardening tasks, including seasonal work in the 11,000 sq. 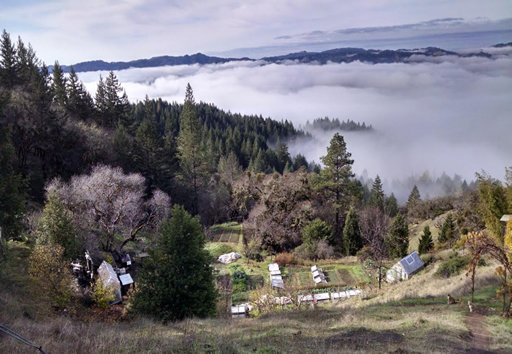 ft. raised-bed growing area near Willits. Teaching (under the guidance of the Mini-Farm Manager): preparing and teaching GROW BIOINTENSIVE topical and crop classes for students and the public, and assisting with the training of interns and apprentices at the site. Outreach: Assisting with workshops, open to the public (2 per year). Research: data collection (crop yield and soil amendment data), plus assisting with farm data management. Education & Experience: You have a background in farming, are interested in closed-loop, sustainable, regenerative, "beyond organic" agriculture, and are skilled at working the land. Three years of organic agricultural experience, based on a degree in sustainable agriculture or related field, or from life experience. Able to work within a farming structure that contains demonstration, teaching and research aspects, and involves working with the public. Good interpersonal skills: We're looking for self-starting, solutions-oriented, co-creative team players. The ability to interact with the public, and with our annual group of diverse international interns. Flexibility, patience, a sense of humor, and respect and understanding for others, especially people from other cultures and countries. Cross-cultural experience a plus. Strong communication skills: Fluency in English is required. Ability to clearly convey information about demonstration, teaching and research garden activities to individuals or groups is important. A second language, particularly Spanish or French, is desirable. Excellent organization and planning skills: Orderly, with meticulous attention to detail, good at keeping track of data and not afraid to take on special projects and build your skill-set. Ability to work with Microsoft Office applications—especially Excel; comfortable using Mac OS. Knowledge of data management systems a plus. Interested in the work we do: The ideal candidate has a desire to live and work in our sustainable farming community; to become an important part of our research and training programs and projects; and to participate in continued training in biologically-intensive farming. To ensure continuity of our research, we are looking for long-term farmers: a minimum 5-year commitment is requested. Our goal is to train farmer-teachers, and help individuals empower themselves to grow all of their own food sustainably. We work with individuals from around the world to help them grow better diets using fewer resources while building soil. If you have skills and interests that you think will fit well with this program, we encourage you to apply! 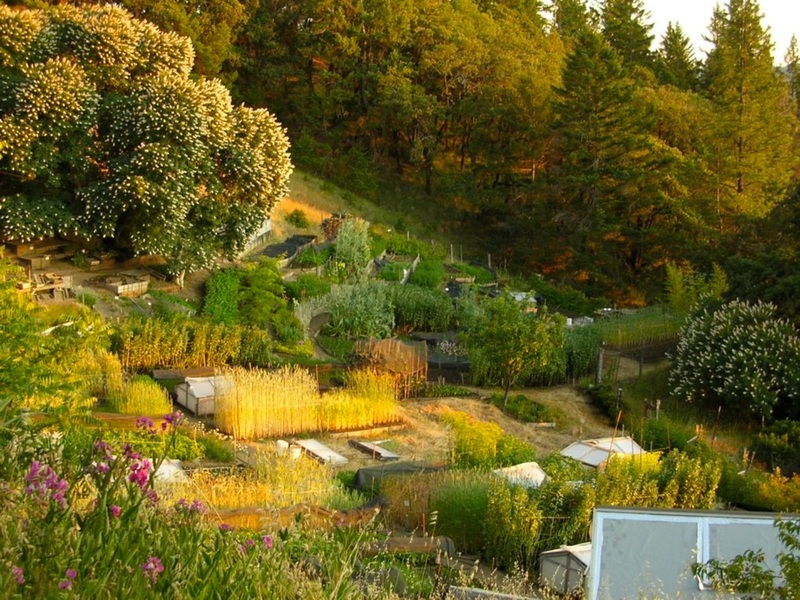 Salary: The Biointensive Farmer is a long-term, full-time staff position (40 hours per week), with up to 8 hours of simple overtime pay possible during the 6-month main growing season (~April 15-October 15), with an hourly rate $15 per hour. Holidays: Holidays: Full-time employees have the following nine paid holidays: New Year's Eve, New Year's Day, Memorial Day, Independence Day, Labor Day, Thanksgiving (2 days), and Christmas (2 days)..
Medical Stipend/Dental/Vision Reimbursement/Vacation/Sick Leave/Family Emergency Leave: After completing one year of employment, full-time employees will receive up to $600 reimbursement per year for dental/vision/medical expenses, plus a $200/month stipend to be used towards medical insurance, preventative care, etc. ; four weeks of paid vacation annually, including 1 week in August; and up to two weeks of paid sick leave and/or family emergency leave. Exceptions can be made by the Director. Rural, but a 15-minute drive accesses stores, laundry, restaurants, theatres, and community events; 1-hour drive to redwoods, lakes, hiking/camping, and coastal vacation destinations; 3-hour drive to San Francisco/Bay Area. Rent is charged at a discounted rate of $250 per month, with a $250 refundable cleaning deposit. 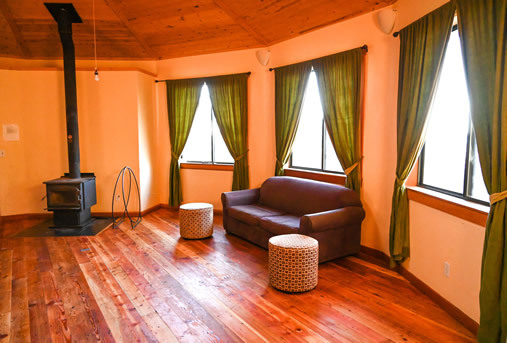 This provides a large private bedroom in a beautiful, clean, recently renovated, 2-story off-grid yurt with shared common space (living, kitchen, dining, bath) for staff and interns. 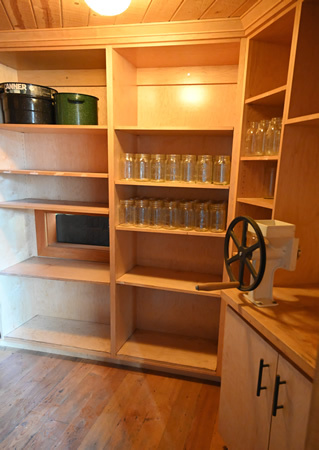 Includes water, solar and generator power, wood heating (you may be asked to help gather firewood), propane, and garbage. No on-site laundry (laundromat in town). Separate couples housing may be available. Location not suitable for children. Staff members are responsible for providing their own cell phone/personal computer (office computers are for business use only) and high-speed internet service (basic internet for checking email is available, but is not suitable for streaming or surfing). Includes garden space and training to grow your own vegetables, fruits and grains; we estimate that you may be able to grow 25-50% of your diet on-site depending on your skill level. You are responsible for purchasing any food not grown on-site. No animal husbandry, hunting, or fishing takes place at this site, and all food is vegetarian (no meat of any kind allowed), but eggs, cheese, milk and butter are used in moderation. We attempt to eat primarily from the garden, and supplement our diet with food grown locally, avoid buying food that has traveled a long distance, and do not eat much in the way of tropical fruits such as bananas, mangos, papayas, etc. During your time off site, you can, of course, eat whatever other foods you like, including meat and tropical fruits. There is a rotating cooking schedule and all interns and staff farmers will cook at least once a week, sometimes more. Once a week there is a scheduled cleaning time, during which all residents of the staff housing participant in cleaning the common spaces. 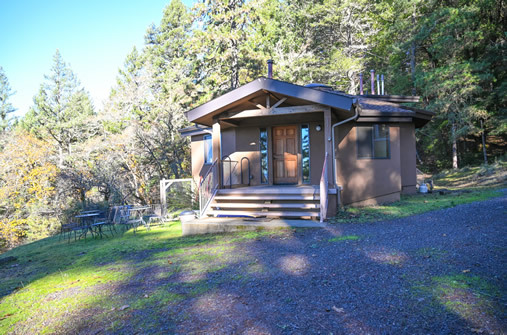 The property is about 20 minutes outside of town by car, and it is not a safe or easy road to walk, so you must have a reliable means of transportation. Smoking, drugs and alcohol intoxication are not permitted on site. Please note: as this is a research and demonstration site specifically focused on the GROW BIOINTENSIVE method, no other farming methods may be practiced on site by staff farmers. Typically, you'll be provided with a quality futon mattress, lamp, side table, desk or table, and chair. Please bring your own bedding (sheets, pillowcases, pillows, blankets); if you prefer to bring your own mattress, you can! While personal items can be accomodated in a limited amount according to the space pictured in this bedroom, if you have a large amount of furniture or belongings, you will need to consider renting a mini-storage unit in town. 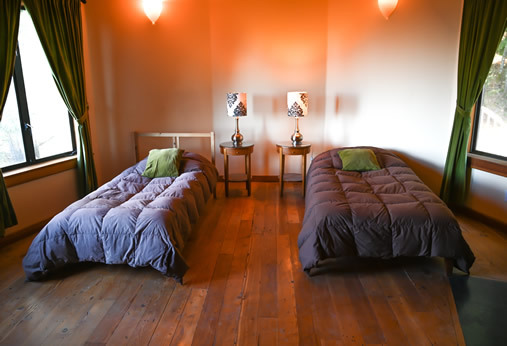 The staff yurt includes two bathrooms with composting toilets and showers. One is for the staff and long-term apprentices and the other for general use. Applications will be accepted until the positions are filled. Thank you for your interest in dynamic, high yielding, resource-conserving biologically-intensive soil-and-food growing! Ecology Action has spent almost 50 years developing and teaching the GROW BIOINTENSIVE® Sustainable Mini-Farming Method. This low-tech (but sophisticated) farming method helps small farmers maximize agricultural yields, build soil fertility, and minimize water, energy, and off-farm nutrient inputs. Our work has demonstrated results in communities in the U.S. and worldwide, helping people grow plentiful and nutritious food without depleting precious natural resources. This modern, dynamic method is based on universal scientific principles, combined with millennia-old farming practices. It is successfully being used in 152 countries, in virtually all climates and soils where food is grown. 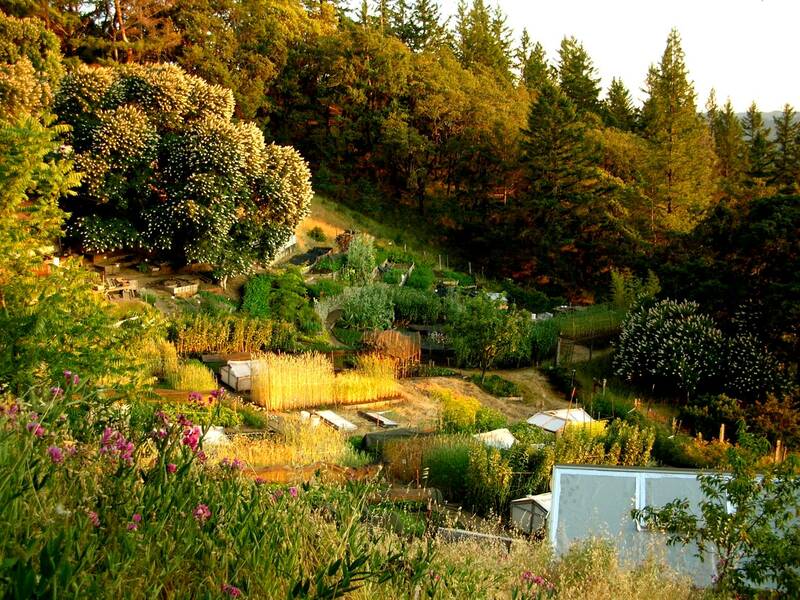 Our programs are centered at the Jeavons Center Mini-Farm located in Willits, CA (inland climate) — and at the Victory Gardens for Peace Mini-Farm in Mendocino California (coastal climate). Our mini-farm program serves as one of the oldest sustainable agriculture research projects in the world.